Does your dog tend to end his trip to the dog run with a scuffle? Do other owners call their dogs and leash up when they see you coming? Bullying is a common problem, particularly with adolescent male dogs – although all ages and both genders are possible candidates. If your dog is picking on others in social settings, there are a handful of things you can do to teach him to curb his tendencies. There are also a few unfortunately popular methods that I’ll mention you should not do. Don’t make the mistake of believing this has anything to do with you. The current trend in dog training is a backwards one, proven wrong by behavioral studies decades ago…but thanks to cable television, enjoying a resurgence. Your dog isn’t scaring the crap out of other dogs because he doesn’t respect you – he’s doing it because it’s fun. Contrary to what you might see on TV, you should not put him in a down position after he’s just gotten into a fight, nor should you put him on his back. Without going into the reasons for or against these methods, the bottom line is that you’re putting your dog in a submissive position in front of the guy he wants to scare. All that’s going to do is make him more determined to get the other dog. You might also want to try (if possible) going to a variety of dog runs so that your dog doesn’t come to see a particular dog run as either “his” or as the place where he runs around scaring others. Hopefully, after several visits that involve him getting removed for bad behavior, you’ll be able to simply warn him when you see him getting overly excited. 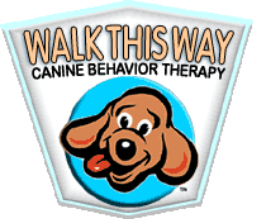 Basic obedience classes generally include some sort of command such as “leave it” to tell the dog to leave something alone. Your next step will be to give your dog the leave it command when you see he’s about to go too far. Call him over and praise him for doing the right thing, and then try to divert his attention away from that particular dog for a couple of minutes. Your goal is to get your pooch to the point where he self-interrupts before he goes too far – even without your help. This certainly doesn’t happen in a matter of days, but with consistency and plenty of opportunities to get it right or wrong, bullying behavior is often times manageable. Make sure you have many trips that end on a good note, meaning you leave before Buster gets into trouble. The difference will be made clear in that you’ll swiftly and silently remove him when he’s gotten himself into a fight. You’ll happily remove him when it’s just time to go and you might even want to pop a treat in his mouth the second you’re out the dog run gate. Before you deem your dog a bully, you should take a step back and make sure that he’s not reacting out of fear. The treatment for fear aggression is much different from the treatment of bullying. Please be safe and reasonable in your assessment of whether or not it is a good idea to try and work on this. If he’s hurting the other dogs or adamantly scaring them every single time he’s in a social setting, consult with a professional to determine whether or not this is something you should even address. Some dogs are just not social with other dogs, and it’s not fair to subject other people’s pets to your attempted rehabilitation.